Evolution for Efundu. 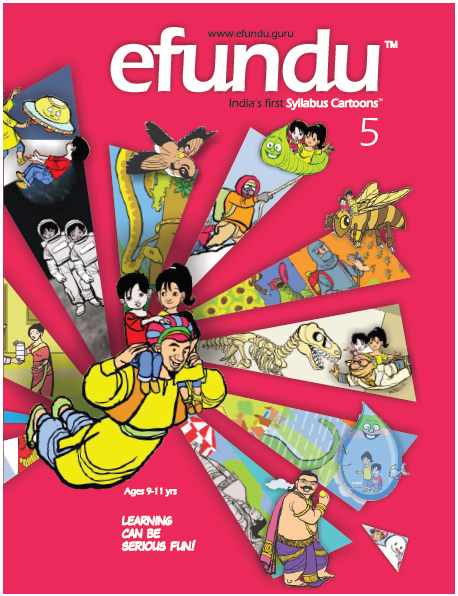 Revolution for Learning: India’s first Syllabus Cartoons in a bilingual avatar. While it is easy for private school children to soak up content in English, we found that government school children learn well in their regional language. But at the same time, they aspire to learn English. Efundu addressed this by creating Bilingual Cartoon books, with English and the Regional language content together, next to each other. So one can learn in their language and have an option to pick up English too. 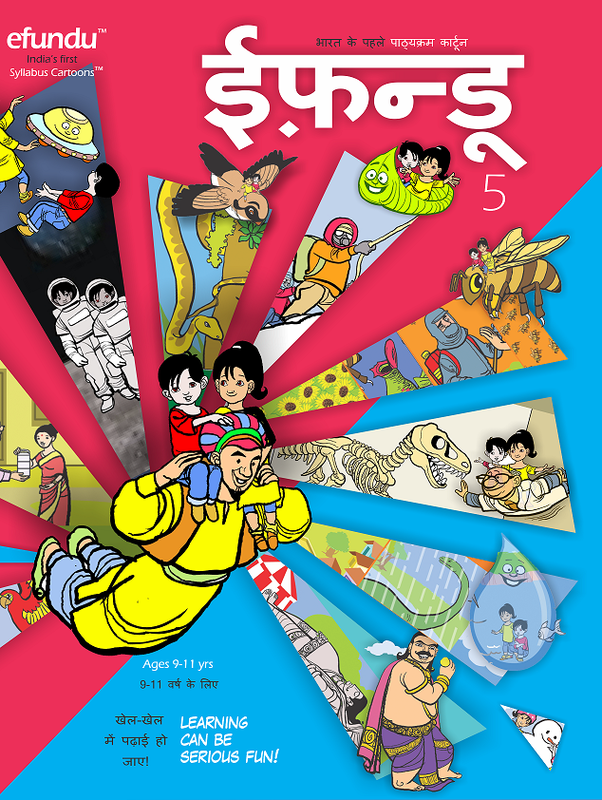 The first Kannada-English book of Efundu5 is out and more languages like Hindi are due to release soon. True freedom to learn. Absolutely brilliant idea. In fact, this was so engaging that even a 46 year old like me could not stop reading and exploring further. Excellent work, a very creative.idea and a fabulous tool for the young and the old alike.